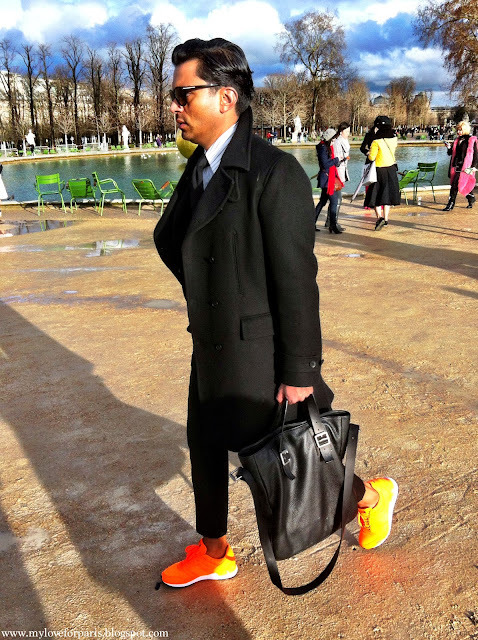 Paris Fashion Week Autumn/Winter 2014/2015 wrapped up this week as quickly as it unfolded in the City of Light. Eight days of non-stop Prêt-à-Porter shows running from Tuesday 25th until Wednesday 5th this year had celebrities, editors, fashionistas and industry movers and shakers briefly take over the city and its iconic locations. Karl Lagerfield transformed the beautiful Grand Palais into a luxury Chanel supermarket to showcase his latest collection that featured some very comfortable runway footwear ;) while Nicolas Ghesquière unveiled his highly anticipated mod-influenced debut collection for Louis Vuitton at Cour Carrée du Louvre. On the other side of town at the opulent Palais Garnier, Stella McCartney presented her collection described as sporty/evening, while a little walk down from Place de la Concorde in the Tuileries Gardens, Valentino and Elie Saab revealed the direction of their respective signature styles at Espace Ephémère Tuileries. Musée Rodin on the other hand hosted the quintessential Parisian Dior show while the edgy Saint Laurent show took place in the evening at Carreau du Temple in the Marais. Fashion Week (of the Big Four) is a bi-annual event that always starts off in New York, then heads to London, then Milan and finishes in Paris. Autumn/Winter Prêt-à-Porter collections are presented in February for the upcoming season, while Spring/Summer collections are presented in September. Prior to this are the Men's Fashion and Haute Couture cycles. 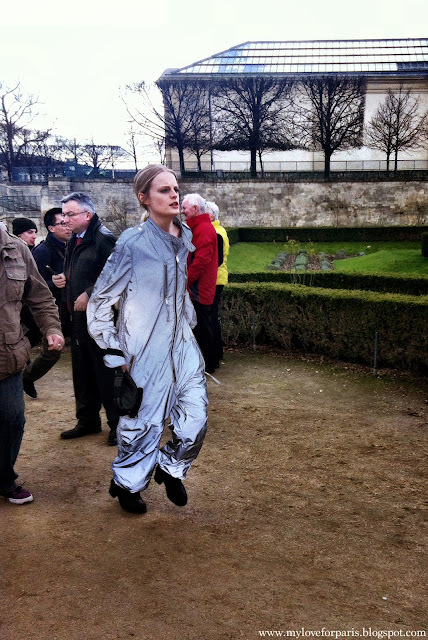 Perhaps it's the breathtaking locations that sets Paris Fashion Week aside from the other fashion capitals. Or maybe it's the strong presence of French fashion houses and the defining relationship these houses have had with fashion and la mode in general. Whatever it is, haute couture and prêt-à-porter runway shows were definitely made to be presented in Paris. New York has a high flying commercial feel, London plenty of character and 'edge', Milan the glamorous Italian style you would expect and Paris just has her.. 'je ne sais quoi'. Being my very first Paris Fashion Week, I thought I would tag along with a couple of photographer friends and see what I could come up with for a blog post. What started off as a 'I'll-just-go-along-to-see-what-all-the-fuss-is-about' quickly turned into an addictive adrenaline rushing hunt for the best shot that had me on my feet for 15 hours in a day. I was on overstimulated meerkat mode all day, through the bone chilling wind and the incessant rain - looking back, I really don't know how we did it. Previously in my twenties, I had randomly stumbled my way into the world of Dior whilst living in London (which was completely unexpected as I came over there as an Australian.. get this, pharmacist). 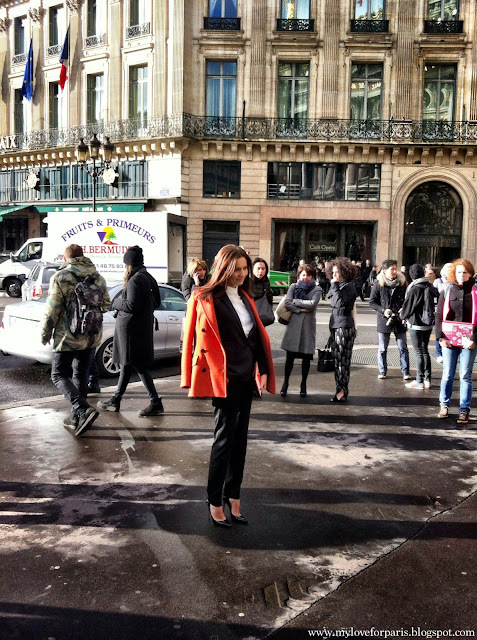 During that time working at Dior LVMH, I was able to become a little familiar with the industry in general and see how things worked from the inside. This time round, experiencing the buzz on the other side as a (relatively new) blogger was a completely different ball game, and a lot more character building. 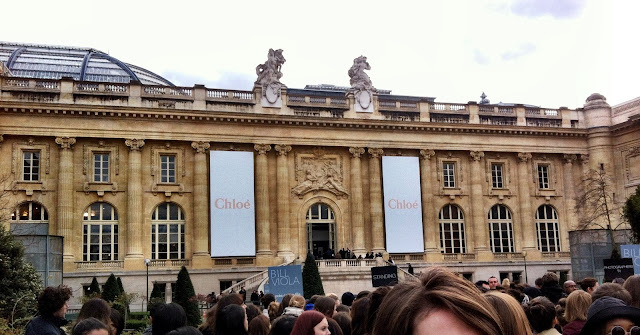 Here are a few things I noticed from my experience at Paris Fashion Week. PS Obviously I'm not a fashion blogger so for predicted trends for this upcoming season, check out my other posts with links to see the actual runway shows! 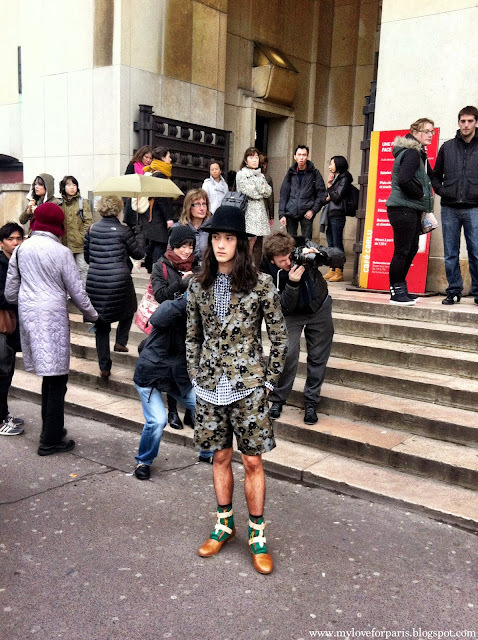 The atmosphere of Paris Fashion Week reminds me of a wild safari hunt. Everyone stands around poised with their cameras and smartphones, ready to pounce on their prey. The suspense in the air starts to mount as soon as any suspicious looking tinted window car pulls up. The door slowly opens and the gazelle/peacock pauses before taking her time to get out of the car, building up the suspense. As soon as she is visible, the paparazzi run and mob her, frenzied flash photography creating bright twinkling stars in broad daylight. 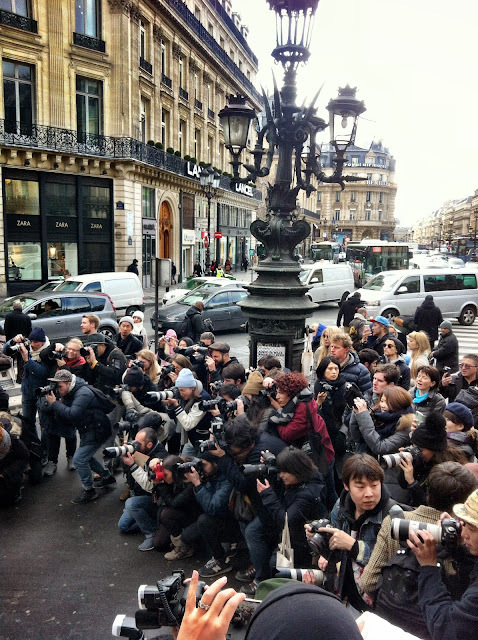 The sound of fancy SLR camera clicks form the constant bass, while the paparazzi yelling, calling out first names or 'Miss, Miss, this way please, please, s'il vous plaît' and making a whole range of noises to attract attention forms the raucous melody of the paparazzi soundtrack. I have to say I found this atmosphere a little addictive. Soon enough my adrenaline was pumping and I was dashing around, squeezing my iPhone extended arm into the nooks and crannies of the paparazzi crowd. I wanted to join in on the hunt too. 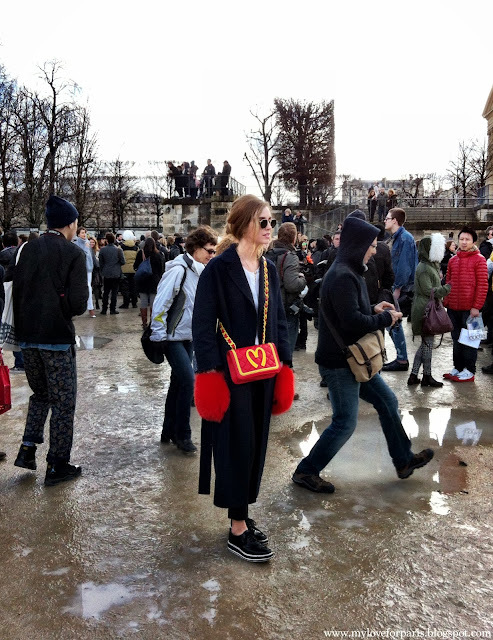 There are a few types of people that generally go along to Paris Fashion Week shows I discovered. Firstly, there are the celebrities/big name editors/elite/socialites that don't have any trouble getting in. In fact they use the secret side door and often employ elaborate decoy strategies to (unsuccessfully) outsmart the paparazzi. Secondly, there are the socialites/personalities/designers/models/editors that don't mind a little attention. They'll use the main entrance and will happily pose for photos (except when they are running almost half an hour late and risk not being let in). Thirdly, there are buyers/members of the press/journalists/photographers who are actually doing their job - they tend to be quite low key and just mind their own business. Fourthly, there is this rather interesting group of 'aspiring' models/personalities/possibly designers/people just interested in the fashion industry. These people will dress up, wearing something a little eye-catching. You can spot them because they aren't in a rush even when the show has started. You can also spot them being turned away at the entrance when they try to get in without an invitation. These people will waltz around the grounds, stopping casually to pose once, and then again, and again, until someone takes a photo of them. Anyone? Their purpose is to be photographed and create a buzz to get noticed. After a couple of days at PFW, you start to recognise these people and cringe a little when they are refused entry to yet another show. Fifthly (this word sounds funny), there are the photographers, bloggers, freelancers and paparazzi. People doing their job on the outside but without special passes and invitations. These people work hard against the elements in order to get the perfect picture. They can also really push you around metaphorically and literally, if you're not careful (I'm talking about the paparazzi). Sixthly (this also sounds weird), there are the visitors, the tourists, the people who are just dropping by or have just come along for the experience. So what I also noticed was that even if you do have an invitation (which is normally only available to the first three groups of people), there's a further subdivision. Among the invited, there are seated invitees and standing invitees which means that if you are designated as a standing invitee, you still have to wait in line in the cold/rain/whatever in your fancy highly weather-inappropriate outfit. Expressing disgust and making a scene then being made to wait in line like everyone else makes me cringe in a strangely satisfying way. Everyone seems to be a bit shorter in real life. They also seem to be really petite. Or maybe it's an optical illusion. Or maybe I'm just a giant. Also, some celebrities are actually really nice. I was so moved when I saw Olivia Palermo whip out a giant beautiful smile for a selfie with a shy teenage boy who ran up to her, his face as he ran off was even more beautiful. 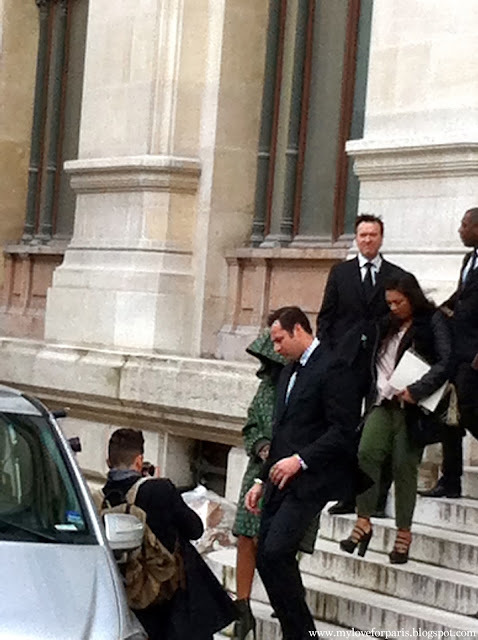 Traditionally, invitees might choose to wear a little something of the designer whose show they are attending. Of course it's not expected, but it was still interesting to see what people wore to the Chanel show, compared to the say, the Saint Laurent show. 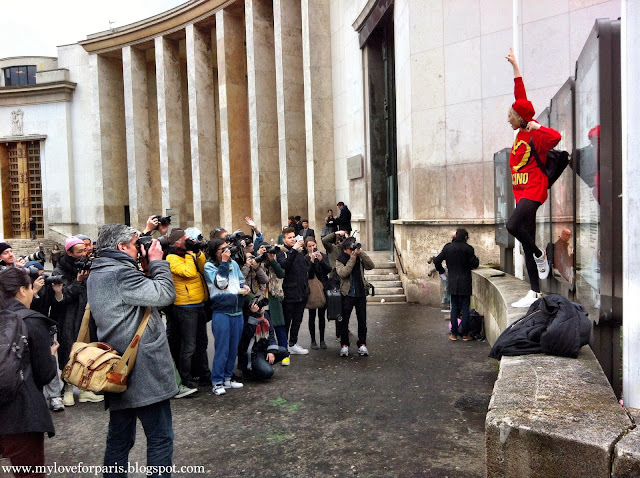 Of course there are no rules anymore, especially with the prominence of street styling photography. There's a lot to take in outside these shows, and it's great to see such a varied spectrum of individual expression whether it be classic, daring, experimental, abstract, quirky, unexpected or franchement n'importe quoi..! Every year, there is always a little protest that causes a bit of a stir. Last year two half naked female protesters stormed their way onto the actual Nina Ricci runway. 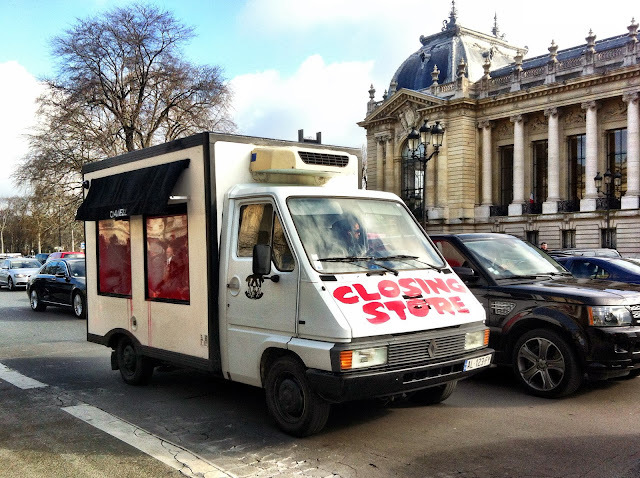 This year, the closest thing to a protest was a 'CHANNEL' van that circled the block with phrase "destroy what destroys you" plastered on the back. 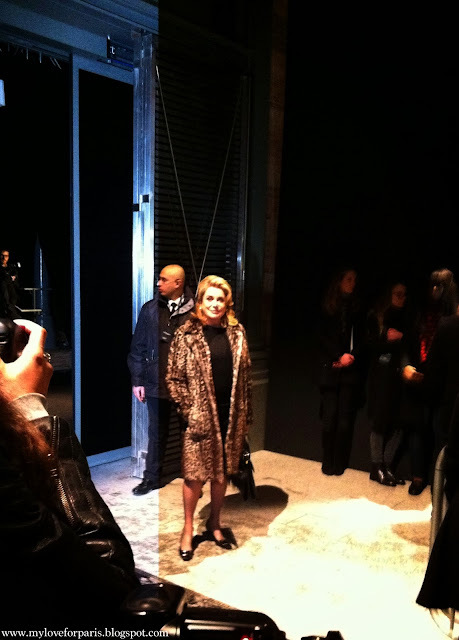 I had a great time at my first Paris Fashion Week experience watching the circus that it was. 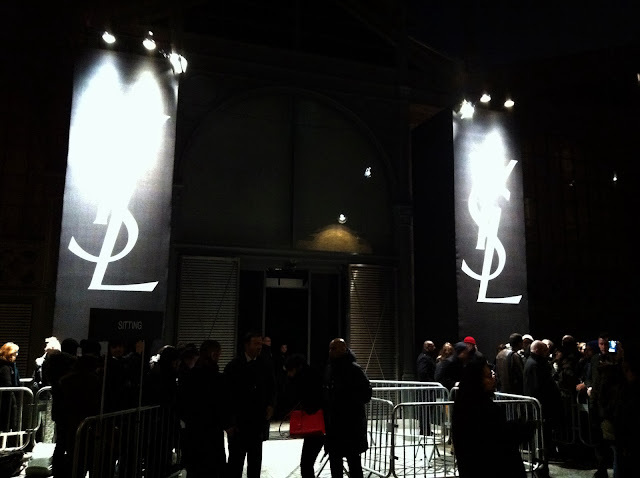 Even though our plans to get into the Saint Laurent show fell through at the last minute, it didn't matter. 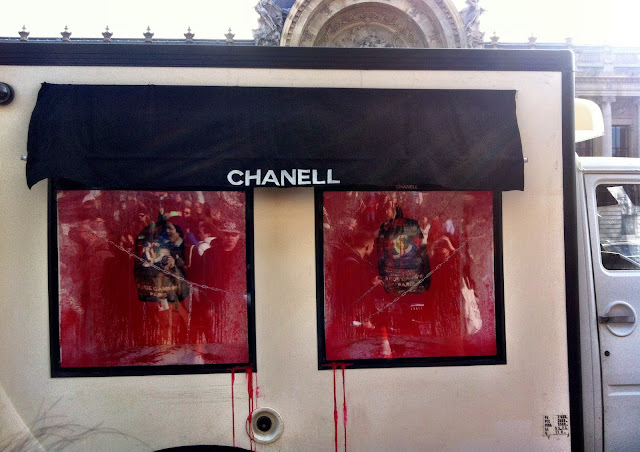 Next Paris Fashion Week I will be more organised, and hopefully luckier too. For dates and tips about how to tackle the next Paris Fashion Week, I'll post up a step-by-step guide in my next blog post soon. In the mean time, a selection of my photos outside the Stella McCartney, Elie Saab, Chanel and Valentino shows can be found by clicking the respective links!